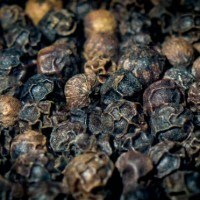 Black pepper, a spice we probably use on a daily basis, one of the most common household spices in the world in fact Beyond its flavor enhancing qualities adding spice to our dishes, black pepper extract Piperine or better known as BioPerine (patented by Sabinsa) increases absorption and enhances nutrient bioavailability. Taken with other supplements or with a meal, it increases the absorption rate of nutrients dramatically. BioPerine benefits are too effective to ignore. 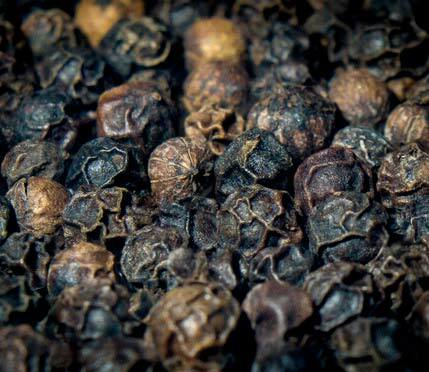 Black pepper has been regarded as a way to improve gut health for many years, taking the powerful extract of Piperine out of the pepper and concentrating it in a supplement has allowed us to harness its power in full. Piperine increases blood supply to our gut, increases the emulsifying or digestive content of our gut and in turn, increases the active nutrient transport ability of our digestive system. When taken with food or other supplements it will amplify your ability to absorb the nutrients and keep them from becoming waste products and expelled from the system. While Piperine increases the absorption of nutrients of all varieties, certain supplements benefit more than others. Curcumin C3 for instance has an absorption increase of 2000% when taken with BioPerine, while CoQ10 receives a 30% bump. Other compounds that receive a notable bonus to absorption levels are Vitamin B6, Vitamin C and Selenium. 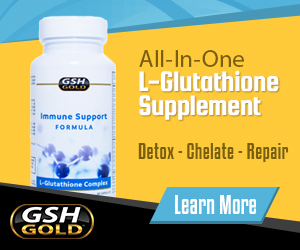 Glutathione taken orally has nearly no absorption unless taken in the form of Acetyl-L-Glutathione, when paired with BioPerine Acetyl Glutathione increases the absorption level even further. Adding BioPerine to your supplement routine will not only increase absorption, but the value, ensuring every nutrient is absorbed and not wasted. Aside from the amazing power of this supplement to increase the effects of other nutrients, it has a few tricks of its own. Piperine is a powerful fat fighter, increasing thermogenesis and increasing the breakdown of fat cells in the body. By increasing the internal temperature of your body you passively burn away fat, making it a great addition to your weight loss plan, or to keep it off the weight by simply taking a capsule. The benefits of Piperine on the digestive tract reach further than the increase in absorption, it has been proven to alleviate gas and constipation, prevent migraines or headaches and improve cardiovascular health through vasodilation. This added ingredient in SynergiaGSH is part of the reason it works so much better than other supplements on the market. Each ingredient was compounded specifically to interact with one another and maximize their effects. With ingredients like Curcumin C3, Selenium, Vitamin B6, Ubiquinol CoQ10, Acetyl-L-Glutathione and others, all being absorbed by the gut at peak efficiency, this is an unparalleled product. In order to receive similar benefits you would have to supplement many different ingredients, and add BioPerine on the side, essentially taking a handful of pills each day at a huge monetary cost. Compounded together not only adds the ease of only 3 capsules a day, but for a fraction of the cost and with a proven track record of outstanding results.